During E.B. 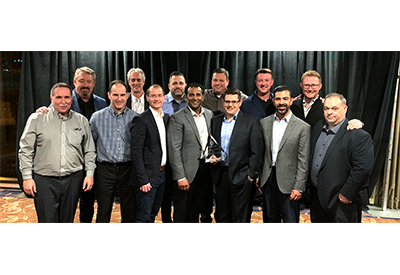 Horsman & Son’s (EBH) Annual General Meeting on March 5th, 2019, ABB Canada was presented with the 2018 EBH Supplier of the Year award by Tyson Carvell, VP of Marketing. Bender has recently completed a new film series under the heading “easily explained” – this time three short clips deal with high resistance grounded (HRG) systems. Cap-Op Energy and Spartan Controls are pleased to announce that their sustainability program has helped nine major oil and gas producers achieve significant emission reductions resulting in carbon credits. At Hannover Messe 2019, Rittal will be presenting the benefits generated by new and enhanced system products, digital processes and an appropriate infrastructure. One of the highlights is the unveiling of a new generation of compact and small enclosures. In honour of International Women's Day, Hydro One announced the recipients of the company's 2019 Women in Engineering Awards and its continued investment in supporting women in engineering. 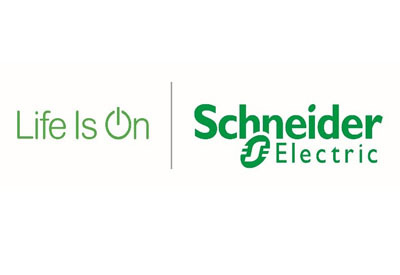 Schneider Electric recently announced enhancements to EcoStruxure Power, the digital energy management system built on market-leading connected products, edge control software and advisor services. Schneider Electric, the leader in the digital transformation of energy management and automation, launched its EcoStruxure Power energy management architecture in Canada at the company's Innovation Day in Toronto. EcoStruxure Power will give Canadian energy professionals access to more reliable, efficient power, while delivering new insights about energy usage. ABB has completed the Maritime Link, formally handing over the interconnector to Emera, a leading energy and services company headquartered in eastern Canada. The link made history on December 8, 2017, by conducting the first exchange of electricity between the islands of Newfoundland and Nova Scotia. It went into service on January 15, 2018 as ABB continues to work with Emera and the system operators in each province during initial operation. The Integrated Energy Plaza at the HANNOVER MESSE's Energy show brings together all the key players in the integrated energy business. Energy producers, power grid operators, operators of energy storage systems, stakeholders from the sustainable mobility sector, movers and shakers of digitization – they will all be there. Together, they will explore and showcase the options and opportunities for digitally integrating all of these sectors of the energy industry. 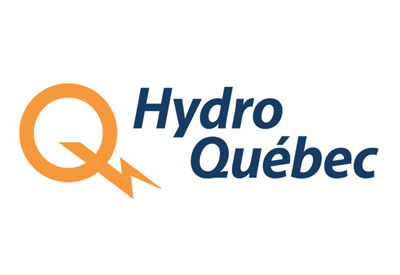 Hydro-Québec’s research institute IREQ continues to make progress with its LineDrone project. The drone can now land semiautonomously thanks to the addition of a new onboard vision system.